Loose oolong tea varieties can be classified according to the four producing regions of China and Taiwan. Compared to its older cousin green tea, oolong tea is a minnow. Imagine: there are about a hundred well-known oolong tea plants; Chinese green tea has thousands. Oolong tea has three basic shapes: long, half-rounded and fully rounded; Chinese green tea has ten different shapes! How much "fire" goes into the final baking? When buying an oolong tea, the first thing to ask is whether you want something that is light and fragrant or dark and roasted. These lightly oxidized oolong can be called "jade", "amber" or "green". They are similar to green tea but has a stronger body and richer, more complex aroma. A fine example is the Tieguanyin oolong. They are exotic and more of an acquired taste to Westerners. It is hard to put to words what they taste like. They are much more masculine and fiery, contains some measure of minerals, chocolate, bitterness and an alluring aroma. The outstanding example is the Rock tea of Wuyi. If you have a weak stomach that is prone to stomach upset and gastric pain, a highly oxidised tea is recommended as they add "warmth" to your system. They are also highly suitable during winter times when it is dark and cold. In addition, oolong tea is now cultivated in other parts of China such as Zhejiang and Sichuan Province. So I will add the fifth. The most well-known oolong tea from Northern Fujian (Mingbei) is the Wuyi Rock Tea. It is not a single tea variety, but refers collectively to the teas grown in the Wuyi Mountain of China. Rock can be more accurately translated as Crag, so called because Wuyi Mountain is a large volcanic fault structure that consists mainly of vertical cliffs, deep gorges and cave systems. It is one of China's 10 famous teas. The mountain produces rare tea such as the Dahongpao (Big Red Robe). There are different kinds of Dahongpao tea. The most highly regarded is an authentic “pure breed” cultivated from the 300 year old original tea plant. Wuyi tea is characterized by medium oxidation and light rolling. It is long and curly rather than rounded. It is famous for its unique flavor known as the Rock Rhyme (Yanyun). The most well-known oolong tea from Southern Fujian (Ming Nan) is the Anxi Tieguanyin tea. Tieguanyin is the name of a very special tea plant. It is widely cultivated in southern China and Taiwan, but the best of it comes from inner Anxi County. It is another of China's 10 famous teas, and probably the most successful oolong tea in the world. Tie means iron. Guanyin is Goddess of Mercy, the Chinese equivalent of Buddhist deity Avalokitesvara (Tibetan name Chenrezig), the Lord of compassion and love. It is less oxidised than Wuyi Rock tea and is rolled into iron-dense balls. It is famous for its unique aroma known as the Guanyin Rhyme (Yinyun). The most well-known oolong tea from Guangdong Province is the Phoenix Dancong tea. 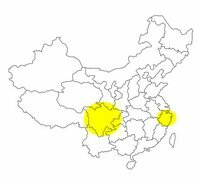 Guangdong is the province nearest to Hong Kong. Its capital city is known as Canton. Phoenix is the highest altitude oolong tea in China, and grows mainly in the Phoenix Mountain, at 1,000 to 1,500 meters above sea level. Dancong is a plant variety. It is derived from Shuxian (Water Sprite) plants. There are now 80 sub-varieties. Hundreds of years of meticulous bio-selections have resulted in Dancong varieties that yield extremely fragrant teas. The tea plant is not a bush. It often grows up to 3 to 5 meters tall. One tree can yield up to 40 kilograms of tea a year. It is long and curly, processed in the same way as the Wuyi Rock tea, but is less oxidised. It is famous for its honeyed and high aroma called the Mountain Rhyme (Shanyun). Formosa oolong tea is the youngest of the four oolong tea regions, but has developed to be the most sophisticated. It has 3 main varieties, ranging from the least to the most oxidised of oolong tea. Wenshan Baozhong tea is also known as the Qingcha. It is the least oxidised of oolong tea and the nearest thing to green tea. Dongding tea, also known as Tung Ting tea, is perhaps the most famous of Formosa oolong tea. It is sometimes considered as one of the Baozhong, but is semi-balled shaped rather than long. Champagne oolong tea is the most exotic oolong tea. Unlike the other oolong teas, it is made of young tea shoots consisting of one-bud-and-two-leaves. It is the most oxidized and withered of all oolong teas. Formosa oolong tea has become so popular that tea producers are shifting their production to China. History has gone full cycle. Taiwan imported their tea plants and technologies from China about two hundreds years ago. To the tea companies, this makes commercial sense. Labour cost in China is so much lower than in Taiwan. There is no reason why these large plantations can't replicate the success of Taiwan. Confusingly, this tea has the same name as the well-known Formosa oolong tea. It is produced in Zhejiang Province by a joint venture between two China and Taiwan companies. They import their plant varieties and technologies from Taiwan. The brand is called Wenshan. The tea is called Wenshan Baozhong and Wenshan Wulong tea. If you are an Alishan tea lover but can't afford the high price, here is a possible alternative. Sichuan Province now produces Gaoshan tea using tea plants imported from Taiwan's Dongding Mountain. The tea grows in the organic tea garden of Meng Mountain. The mountain is renowned for producing one of China's finest teas - Mengding green tea. Si Hai Gen (2007). Zhongguo Mingcha. Shanghai Wenhua Chubanshe. There are five white tea varieties. When buying, it is important to know the type of tea you are paying for.